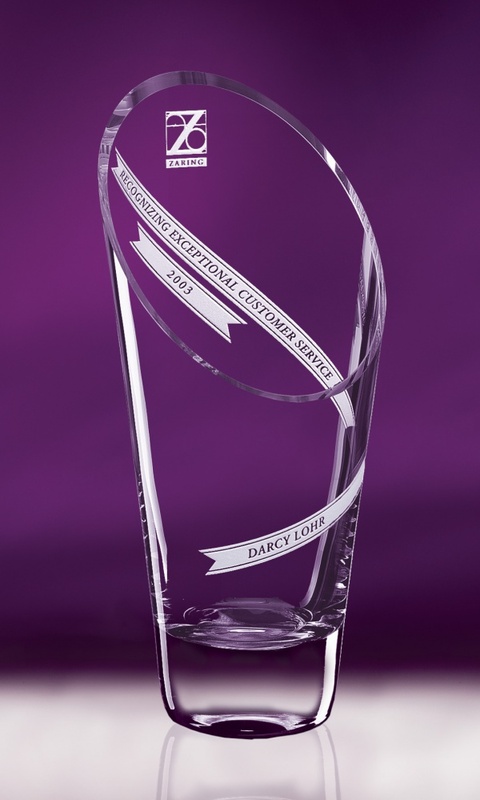 Our Aspire is a beautiful piece of contemporary crystal featuring a striking angular cut, a ground and polished rim, and a sweeping ribbon that lends style to your inscription. It all adds up to a presentation that promises rave reviews. For aesthetics we recommend positioning logo, name, and award inscription as shown.